Julie Brodell-Martin, talent development manager, recently spoke to a business student at the University of Oregon about diversity and inclusion in hiring and recruiting. 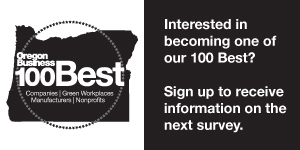 UofO: How would you rank diversity and inclusion among your values? JBM: Geffen Mesher seeks lasting relationships rooted in integrity, and this core value applies to our treatment of clients as well as employees. The foundation of our company culture is respect: respect for each other, our differences, and our shared values. Diversity and inclusion are essential in achieving that integrity and respect. Geffen Mesher is committed to equitable hiring practices, as well as ongoing equal opportunity for its employees. Could you describe any changes to this priority over the last few years? In 2013, Geffen Mesher formed its Women’s Leadership Initiative (WLI) in an effort to address and combat gender inequity, particularly among the firm’s leadership. At the time, none of the firm’s 15 partners were female (we have since appointed two female partners). In the six years since its establishment, the WLI has implemented many initiatives at the firm, including a leadership development program and a semi-annual women’s leadership event. Additionally, the WLI has spearheaded firm benefits like customized work arrangements for working parents, a parental leave policy, and a Working Moms support group. Can you name some specific initiatives your firm is taking and/or is planning on taking in this area? Emily Bradford, a Senior Manager at the firm and the WLI’s new Chair, has truly hit the ground running with her vision and ambitions for the firm. One of her primary goals is to continue de-stigmatizing the idea of working a flexible or part-time schedule, and ensuring that women — and working mothers in particular — are offered the same opportunities as their male counterparts. When it comes to gender equity, there is always more work to be done and more progress to be made. The WLI is also very excited to be hosting an International Women’s Day celebration at the firm on March 8. We will be inundating the firm with facts, TED Talks, social media blasts, and other information about gender disparity in the workplace — especially in male-dominated industries like accounting. We firmly believe that knowledge is power, and we look forward to raising awareness about the gender-specific challenges that certainly still exist (despite some opinions to the contrary). We cannot aim to affect great change without first demonstrating why it is necessary. How does your specific role incorporate considerations of diversity and inclusion? As the firm’s Talent Development Manager, I am responsible for ensuring that diversity and inclusion are prominent considerations with respect to our hiring, development, and career advancement practices. The first step is often to address a lack of representation and subsequently identify the need for more. These considerations are always part of how our firm can grow and elevate our existing talent, as well as attract new talent. Representation is essential for our firm’s continued success, and each year our class of new staff accountants reflects our firm’s concerted effort to create a better, more diverse workplace. We recognize that diverse representation elevates our shared standards of excellence, and as such this has become a cornerstone of our hiring practices. For more than 85 years, Geffen Mesher has prided itself on giving back to our communities. As a leader in the community we call home, we consider it our responsibility. Whether it’s sponsoring an event or showing up on a Saturday to volunteer, Geffen Mesher donates its time and resources to help make a difference. We have a long-standing relationship with United Way, of which we’re very proud. Each holiday season, Geffen Mesher hosts a week-long pledge drive to raise funds for United Way. In recent years, this highly-anticipated campaign has grown to include a raffle and Thanksgiving-style potluck dinner. Additionally, we aim to have an annual employee service day each year, which is an event we have been proudly orchestrating since 2011. Additionally, we offer each employee 8 hours of paid volunteer time to focus on the philanthropic pursuits that most inspire them. Geffen Mesher is often recognized by the Portland Business Journal for its corporate philanthropy, which is a unique achievement for an accounting firm. In 2017, the firm ranked 16th out of 36 mid-sized firms (categorized by annual revenues of between $10M and $50M) across all industries. Geffen Mesher gave $88,100 back to the community in 2017 – an average of $855 per employee. What kind of factors do you look for when participating in corporate social responsibility? Do you find participating in your community an important consider or component in your organization? Throughout the year, Geffen Mesher is privileged to work and sponsor over 30 different charitable organizations. These sponsorships are a reflection of our employees’ community involvement and leadership. Each year, the firm assesses and aligns its philanthropic and business motivations with new opportunities, too. Do you participate in any outreach activities or events to younger people? Are schools a part of this? Does your organization offer any professional development programs for students (job shadows, internships, guest speakers, etc.)? Absolutely. A large part of my role involves campus outreach and recruiting. In addition to the traditional accounting internship opportunities, we also offer job shadow opportunities, host experiential days of learning through our Summer Leadership Program, and participate in BAP meetings. To what extent does the firm’s corporate giving incorporate considerations of diversity and inclusion? Diversity and inclusion are cornerstones in both the firm’s philanthropic and business motivations. If it matters to our clients, it matters to us. Achieving diverse representation throughout the firm, and especially among leadership, is of the utmost importance. Our commitment to these values is reflected in our hiring, development, and career advancement practices, as well as our philanthropic endeavors. While our firm has certainly grown and achieved progress with these goals, we recognize that our efforts are never finished, nor should they be. To what extent do you think a program like SAIL might be attractive to your firm as a volunteer opportunity for your employees, or a philanthropic/donation source? We always welcome volunteer opportunities. If the timing worked out with our staff during the program dates, I believe it would be a great opportunity for the firm. Our annual service days have proven incredibly successful, and they are always met with an outpouring of enthusiasm from our staff. I have witnessed firsthand the passion that our employees foster for giving back to their community.